Y.I.K.A., Mojave Br. 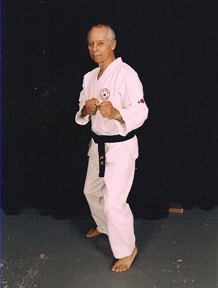 - Ray Zaragoza, Sr.
Non-Active Instructor: Ray Zaragoza Jr.
Ray and Loni Zaragoza first became interested in Karate in early summer of 1966 while living in Titusville, Florida. They first studied the Seibukan style of Karate under Larry Pate who held a dojo at the Studstill Studio. Larry Pate learned Seibukan under the teachings of Bernard Collins. The Zaragoza's advanced quickly due to their ability to perfect this art and their passion for Karate. They were awarded the rank of Shodan in September of 1968. In late fall of 1968 they met Mike Foster who was a Yondan at that time. Before long, not only did Ray Sr. and Loni join Mike Foster's Association but so did Larry Pate and Bernard Collins. They all attended Mike Foster's Dojo in Orlando until 1971. At which time it closed down due to Mike Foster moving to Daytona, Florida. Mike Foster then opened a dojo in Daytona, which Ray and Loni traveled to every Friday for classes. He then opened an additional dojo in Lakeland, Florida. Mike Foster asked the Zaragoza's to assist in teaching at the Lakeland Friday class whenever he could not make it. The Zaragoza's began teaching the Friday class shortly after it opened and continued to travel every week to teach at the Lakeland Dojo. It was during these years that Mamoru Yamamoto began coming to visit America. During this time, he would stay at Mike Foster's house and occasionally he would stay with Ray and Loni Zaragoza. The Zaragoza's continued to teach in Lakeland until they left for California in 1972. They turned the class over to Neal Cranston, who also taught the Lakeland Dojo. 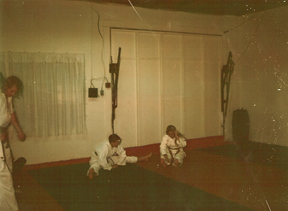 In early spring of 1973, the Zaragoza's opened a Dojo out of a garage on Yucca Ave. in Lancaster, California. Shortly after the class began to grow, they opened a Dojo four blocks away, in a larger building, still on Yucca Ave. in Lancaster. 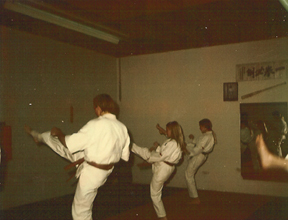 They taught at this Dojo until 1978. The Zaragoza's had two students achieve Shodan level while teaching there. They were Charlie Craig and Chris Wallace. It would be almost 15 years before Ray Sr. and Loni participated in teaching at another Dojo again. In 1993, their son Ray Zaragoza Jr., opened a dojo in Mojave at the Mojave Movement Arts Center, where they assisted teaching through out the next few years. In 1998, Ray and Loni retired from actively teaching karate. They still live in Palmdale, California, spending more time with their family.